What are you in rhythm with? 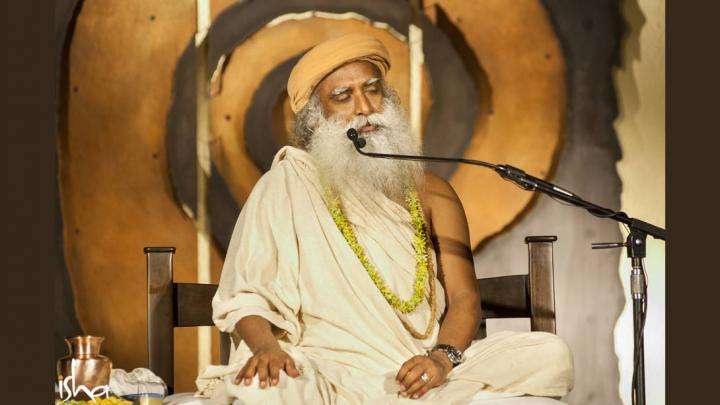 Sadhguru discusses the many rhythms of nature as well as stillness, the ultimate rhythm. Q: Sadhguru, could you talk a little bit more about being in rhythm with nature? 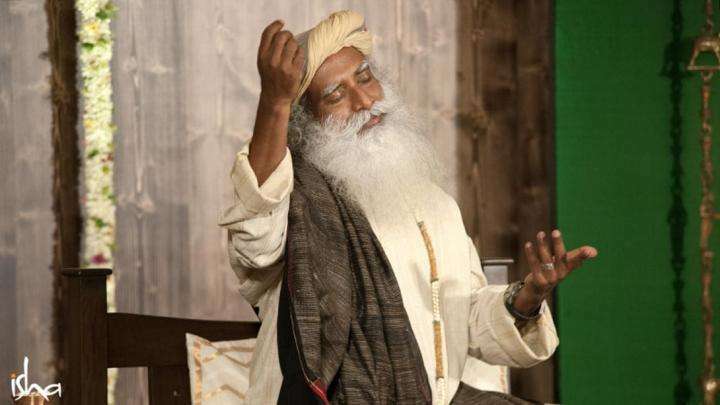 Sadhguru: You know what rhythm is, in some way. Rhythm can happen to you in so many ways. Actually, if you listen carefully, there is a rhythm to just about everything in the existence. Even in terms of auditory perception, not on a deeper level, if you listen carefully there is a rhythm to it. The insects are buzzing around – there is a rhythm to it. They are jamming! Even if you listen carefully to highway noise, there is a rhythm. Whatever sound is emanating from anything has a certain rhythm to it. If there is a rhythm to every sound that you hear, obviously there is a rhythm in the reverberation that causes the sound. If there is a rhythm to the reverberation, there is a rhythm to the substance that causes the reverberation, and if there is a rhythm to the substance, there is a rhythm to that which is the source of that substance. The question is, what rhythm are you on. What Rhythm Are You On? You can see this with music. 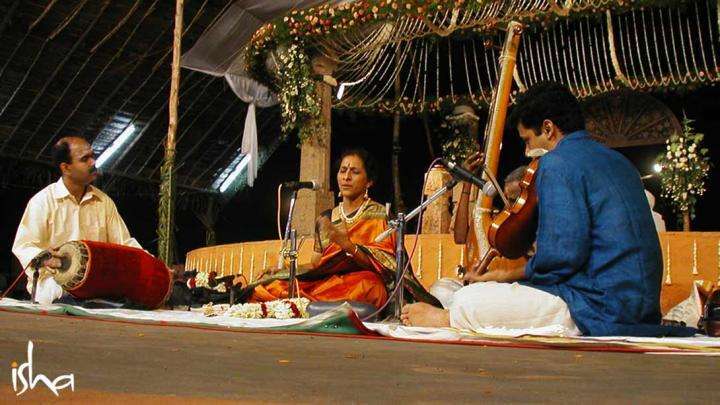 When we were growing up, our home was steeped in Carnatic music. It was so much a part of the very air that we breathed. My father also appreciated Carnatic music in a big way, but we were growing up on Rolling Stones, which he could not stand! He would be sitting with the newspaper or reading a book or something, and we would turn on the western music slowly. He would be too absorbed in the day’s news and we would turn up the volume gradually. We knew he disliked this music but his foot would unknowingly start tapping. Then we would catch him and say, “Look at your foot, you like it! You like it!” The nature of that rhythm is such that the body moves. There are other types of music where your body will become still. Particularly dhrupad music is of that nature. Generally, dhrupad has no words, they will go off endlessly with just one aa. They can do aaaa for six hours – just one sound! If you keep listening, you can simply sit still because the music is designed to make you still. Rhythm can be of many different levels. If it is the rhythm of the body, it is one way. If you touch that of the mind, it will be in a certain way. If you touch that of the inner energies it will be a different way. If the rhythm touches the deepest core, if you find the rhythm of a certain dimension of existence, one becomes naturally meditative. In a way, that is what you are trying to do with all the kriyas and meditations. It is just an effort to get into that rhythm – a rhythm of stillness, which is the ultimate rhythm. If it is still, where is the rhythm? That is the rhythm that is anaadhi (beginning-less). Every sound has a beginning and an end. But the sound that emanates from the stillness has no beginning and no end. Coming to the rhythm of nature – the English word “nature” essentially means the earth, the trees and things like that. No, nature is on many different levels. You also use the word “nature” as animal nature, human nature, different kinds of nature. There is a nature of the body, of the mind, of the emotion, of the energy, and of the Creator. Which nature’s call are you going to answer? If you answer the body, you will go in one direction, if it is the mind, you will go in another direction. Similarly with the energy, the earth, or the innermost core, you will go in different directions. All of them are a certain rhythm of a variety of reverberations, but the ultimate reverberation is of stillness which is traditionally referred to as Shiva – the reverberation of stillness, beginning-less. That is why he is referred to as Swayambhu or self-created, because he is beginning-less; he has been there in a non-being state. When he wishes he becomes a being, when he again wishes he becomes a non-being. So he is self-created. He spurts up by himself, melts down by himself. You did not spurt up by yourself, but you can melt down by yourself. If you know how to melt down by yourself then you also know how to spurt up by yourself. One who learns how to dismantle this system systematically also learns how to put it back. If one leaves in a certain state of intensity or awareness, without knowing the mechanics of his existence, then he leaves for good. But one who leaves consciously, dismantling his own system, understanding the complex layers of rhythm which he is made of, if he wishes he can also put himself back. When a yogi attains to this state he is considered a nirmanakaya, one who is able to recreate his body. He does not come back through a mother’s womb as a child, he comes back just the way he is in the form that he chooses. Shiva went away and came back again and again. He dismantled himself and formed himself, sometimes in different ways. Sometimes when he wanted to meet his wife, he made himself beautiful. Sometimes he wanted to meet other kind of people, so he made himself fierce. He changed the color of his skin, he changed everything about himself, because from absence to presence he was dismantling and recreating himself. When you say the rhythm of nature, we are not just talking about the earth’s rhythm. Earth is an important factor but it is not all; it is just a small dot in the existence. To live here and conduct certain aspects of our life, it is important to be in rhythm with the earth. At the same time, to transcend, to know other dimensions of existence, if you know how to move into the rhythm of stillness and come out consciously, you can move there when you want and come out when you want. If you are able to go to the core and come back to where you are right now, if this freedom is attained, you can touch the whole range of rhythms whichever way you choose. 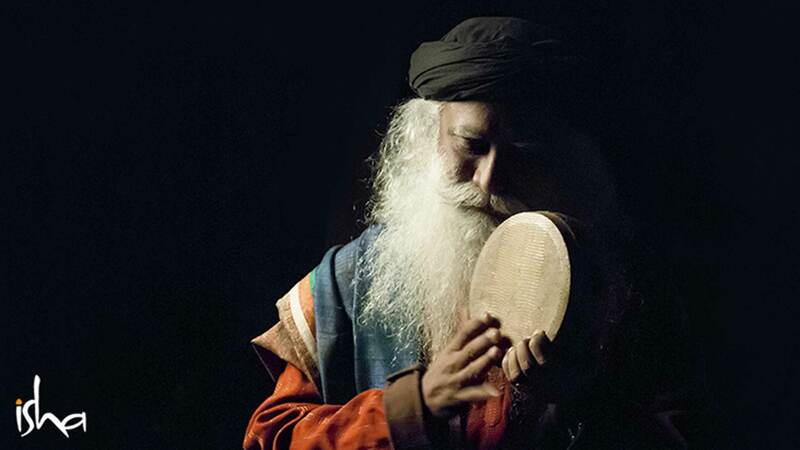 Editor’s Note: “Mystic’s Musings” includes more of Sadhguru’s insights on sound and stillness. Read the free sample [pdf] or purchase the ebook.